When it comes to straightening teeth, our aim is to give you long term stability rather than a short term cosmetic fix. We will have a full consultation with you to tailor a personal treatment exactly to what you and your teeth need. There are a range of options available with our orthodontics service, and we also have payment plans available should you require one. Removable braces – Gently guiding your front teeth into an ideal position in a matter of weeks, the removable option fits in with your lifestyle. Fixed braces – Designed to be discreet, easy to keep clean, and to improve the overall facial result of each patient. A slide mechanism is used rather than elastic in traditional braces so teeth can move more quickly and comfortably. Arch expansion – Used with young children, expanders are attached to the upper arch by bands placed around the teeth or bonded with plastic. 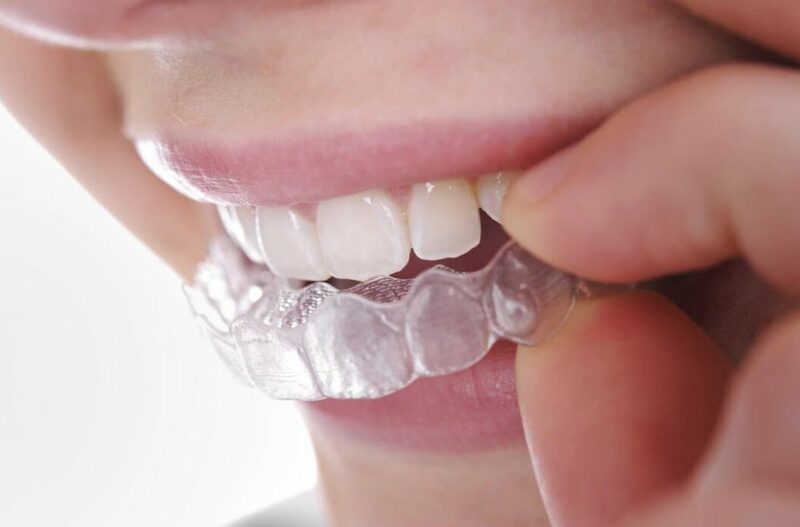 Invisalign braces – Straightens teeth using a series of nearly invisible, removable aligners that are custom-made specifically for your teeth. Replacing the aligner every two weeks will make your teeth move little by little.